Holly ‘Alaska’ or Ilex aquifolium ‘Alaska’ is an exceptionally winter hardy cultivar of holly. 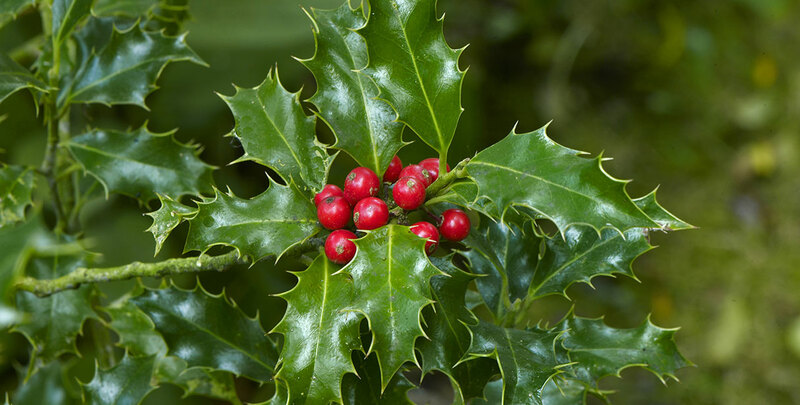 Common holly, also known as English holly, is a native species of evergreen plant. A wide range of holly cultivars have been developed over the course of time, of which holly ‘Alaska’ is the most popular. In addition to being more hardy than English holly, ‘Alaska’ boasts a bushier and more dense growth habit, brighter foliage colour and more berries. Holly ‘Alaska’ creates a relatively slender hedge with spiny leaves, flowers in May and red berries in winter (providing a food source for birds). It is intruder deterrent, low maintenance and slow growing (10-20cm p.a. ), with an ultimate height of 5-10 metres. Holly ‘Alaska’ is both versatile and resistant to diseases. Will grow happily in sun as well as in shade. Drought should be avoided. ‘Alaska’ can be trimmed to a formal, yet very decorative hedge.